Chelsea’s Closet is a rolling dress-up closet that provides monthly dress-up parties for seriously ill children in children’s hospitals. Our goal is to bring a smile to their faces and joy to their hearts and have them forget – if just for a few moments – the struggles they are facing. The children have an opportunity to select a complete NEW* costume of their choice with accessories. CHF hosts a party/fun event and a parade around the ward to show off the costumes. For many of the kids this will be their one time out of their rooms for the day. Children unable to leave their rooms also have an opportunity to select a new costume, a craft project and a goody bag. 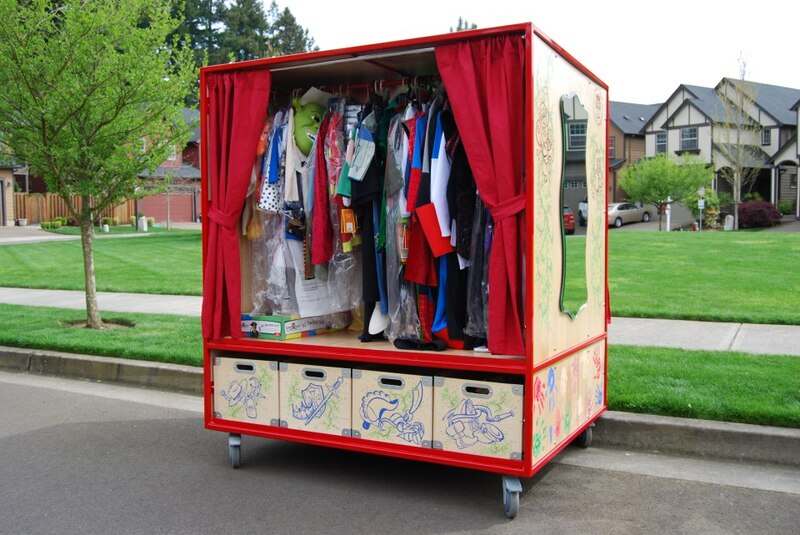 CHF introduced the Chelsea’s Closet dress‐up program to Doernbecher Children’s Hospital in March 2010. Today, Chelsea’s Closet visits Doernbecher and Randall Children’s Hospitals every month, with a permanent “closet” at Randall in the oncology department. These are the only two hospitals in Oregon with pediatric oncology floors providing inpatient treatment. Chelsea’s Closet provides hope and healing to seriously ill children from all 36 Oregon counties reaching more than 2,300 children and their families each year.